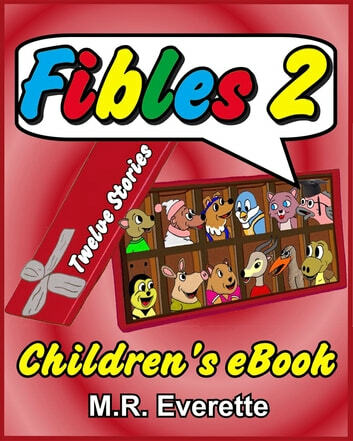 Fibles 2 : Childern’s eBook is author M.R. 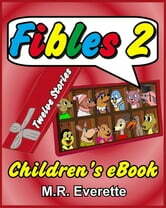 Everette’s second book in the Fibles series, and comes with twelve new stories and 36 illustrations. Fibles 2 are more stories about the untruths that may befall on the characters, and the ensuing outcomes of their actions. The character Gillmore the guppy from “The Guppible One” in the original Fibles, returns in another romping adventure in the story “The Good Salmaritan”. These twelve new short and entertaining stories with their quirky title names and loveable animal characters interacting in today’s world will continue to delight those young and old with their timeless lessons on the topics of truth, helping others, curiosity, hope, sharing, plus much more. Have fun and read Fibles 2 aloud! I Wonder… Can Navy Dolphins Work For The Army?